Home » If the Annunaki created us, who created the Annunaki? Enlil and Enki, two governors of Earth sent from Nibiru to rule Earth, were responsible for all this power and control. They gave the ancient Sumerians their architectural, agricultural, astronomical, and cultural training in exchange for labor and “gifts to the gods” in the form of a lot of mining, food, and material goods. Therefore the Nibirians themselves no longer had to physically work on Earth. 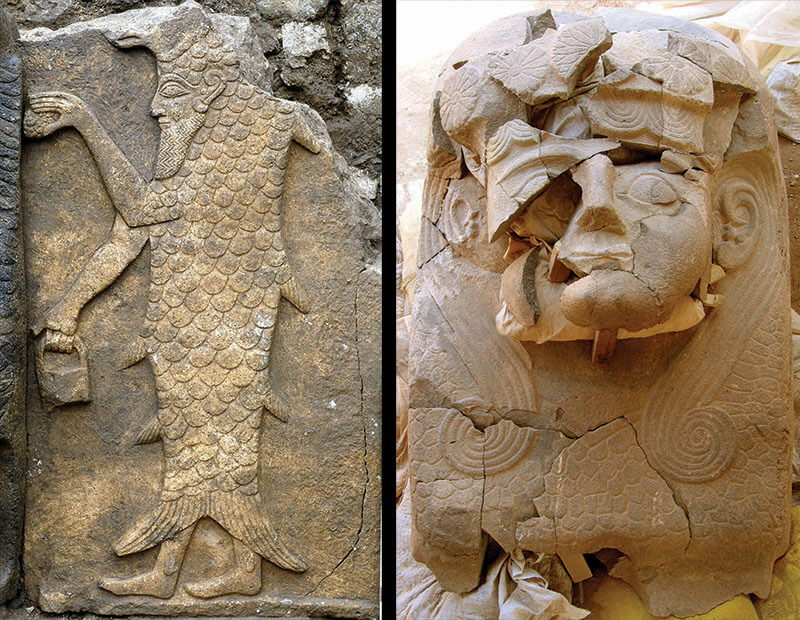 The Nibirians disguised themselves as fish-humans, lion-humans, bird-humans, and other creatures to get the people to worship them as token gods, something that Moses violently opposed. Later, the Pleiadians, who were involved in Egypt’s 3rd Golden Age, attempted to end the worship of the many Nibiruan and Sirian gods in these lands with the one-god concept. However, wars always resulted from these differences of belief systems, and the Sirians and Nibirians thrived on all the humans fighting each other instead of the gods who were the real enemies behind the scenes. attempt to destroy the slave races of humanity by the Nibirians because they have rebelled against their leaders(gods) from Nibiru. Enlil and Enki were involved in a heated dispute over whether to destroy or preserve the slave races and this power struggle resulted in ancient wars.